Leading companies such as Apple, Adobe, Facebook, Google, and Microsoft are in desperate need for engineers who can build software that is accessible to people of all abilities. 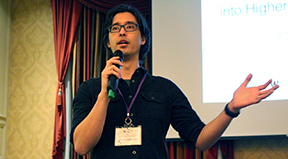 To support this, AccessComputing PI Richard Ladner and Co-PI Andy Ko are offering an AccessComputing-sponsored SIGCSE pre-conference workshop on Wed, February 27th from 1:30-5:00 pm on the topic of integrating accessibility into CS courses. We'll be hosting a series of short talks by faculty with experience integrating accessibility, followed by workshop time to develop ideas for integration, facilitated by the speakers. Details of the agenda can be found online. If you are interested in learning how to integrate accessibility into your courses, please fill out our 1-minute form to register to attend.